I just came back from the Cirque Du Soleil show OVO which is playing now in Calgary and had to sit down and write this review right away because I’m so fired up from it. It was amazing. It was beautiful. It was Cirque! OVO is the story of a village of bugs who’ve come across a precious egg. They squabble over it. They worship it. They celebrate it…all in bug fashion. Well, not entirely in bug fashion because they are no ordinary bugs. No, they are trapeze artists and jugglers and tight rope walkers and trampoline trampers! After seeing Kooza last year,I didn’t think much of anything could top it. I was thrilled with it. But then we saw OVO and it was just so…beautiful. Not that Kooza wasn’t, but it was an entirely different show. OVO has so much beauty all around it. The costumes, the flowers in the set (which you can actually smell as they open) the acts…gorgeous. There were plenty of oooooh and awwwwwweee moments but I have to say, I enjoyed the softer side of this show best. The cocoon and butterfly, and the caterpillar (I think they were catapillars!) lovers were my favorites. I also really loved the ants and their kiwi slices! Anyway, it was an amazing show and I’d recommend everyone go see it. You’ll love it…I promise! I’ve always wanted to take my kids to a Cirque show (I think Jake is ready, Abby might be a bit young). Personally, (read my latest post), I think I will have to pass on the bug one, but overall their shows do look totally amazing and beautiful. haha I just read – you crack me up. These bugs don’t leave the stage so you’d be ok! I’d love to see a Cirque show. Every time I see the snippets they televise, they’re so different. It’s amazing how it’s the same sort of show, yet so different and creative each time. 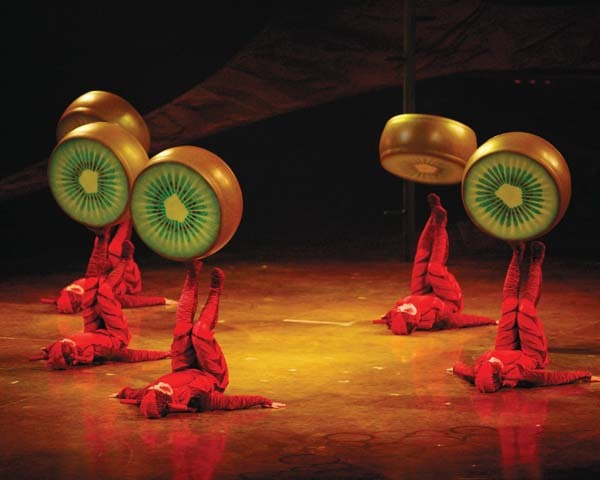 I LOVED Kooza, so I have no doubt that this would be amazing, too. All of the Cirque shows are fabulous. So glad you had fun! Wow, that is amazing! I would love to see it. 🙂 My little ones would probably be freaked out though, so I’ll definitely need a sitter. lol Thanks for the head’s up! That show looks like total fun. We are going to the circus this week and this trailer makes me want to go even more. Wow. This looks like absolute eye candy. I can’t wait to see a Cirque show! This looks amazing, I’ve always wanted to see Cirque du Soleil, I just can’t convince my husband it would be worth the money. I will forever kick myself. I pitched them when I went on my Kissimmee trip, but had no one to watch the boys so my sister and I could go. I am so sad now, because it looks amazing!